Help, I’ve got an interview! How you dress for your interview is very important. The impression that you make - and that means your personal presentation including how you are dressed - can impact favourably or unfavourably on the appointment panel. So what should you wear? 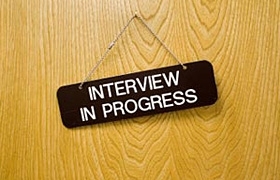 My main advice for interviews is always: do NOT learn answers off by heart! Much better to have prepared topic areas, thematic preparation, than just standard answers that you recite like a Dalek. If you were a car, what sort of car would you be? What should you answer to that question?